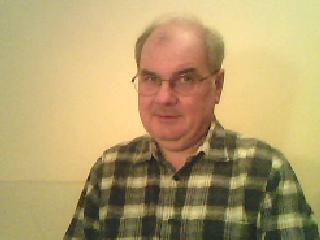 I'm very pleased to welcome to my blog today fellow writer Stuart Larner. We have published Stuart in several of our short story anthologies. His stories are extraordinary. Highly recommended. Do try them if you've not already. I write because I find it entertaining to convey to others some interesting thoughts that occur to me. This occurs across all literary formats. What got you started on writing in the first place? I started when I was young, and received encouragement from my English Master at school. However, my job as a clinical psychologist was so demanding of my time that it was often difficult to write. It was particularly demanding of my mental time. Working as a psychologist tended to blind me to more artistic and creative ways of thinking. Even though I finally knew four thousand people in depth, there were ethical reasons why I could not use them as characters. Now I am retired I have a lot of time to write. Do you have a particular routine? I write for two hours in the morning, then a coffee break, then another half an hour before lunch, half an hour after lunch, and two hours in the early evening. If a poem comes, it might wake me in the night and then I have to scribble a few lines on a bedside notebook in the dark, before going back to sleep again. Do you have a dedicated working space? There is a dedicated study where my wife and I have a desk each. When did you decide you could call yourself a writer? Do you do that in fact? How supportive are your friends and family? My friends and family are very interested and they will read what I write. I am also in several writing groups. What are you most proud of in your writing? I like my poems best. How do you get on with editing and research? I like editing. I do research if I get interested into something. I don’t travel much physically – but my journeys over the World Wide Web are extensive. To keep on writing and getting published. To write something that everybody will go into ecstasy over when they read it. Conan-Doyle for his mysteries, Wodehouse for his humour, Larkin for his down-to-earth truth.